Contact us if you would like to become part of our team. With every sponsor donation you become part of every adventure and get recognized in magazine articles, internet blogs, Youtube videos and our constant spots throughout the TV network. Owner, Matt Wright is a four-time elite veteran survivalist on Discovery Channel's hit show Naked and Afraid. The network is in over 100 million homes in the U.S. and Matt has become the single most successful expert survivalist to be on the show. Harvesting more big game animals with his primitive longbow in the show's history has set him apart from the rest. Matt is the first-ever survivalist to start the 40 day challenge solo to track down the other survival tribes, crushing 23 days alone before locating the tribe in the wilds of Africa. This is an added benefit to our sponsors, increasing traffic to your website and our booth at expos and in return to your products. We work to get each sponsor an influx in sales and attention. We attend a large magnitude of trade shows and events attracting thousands of like-minded people each year. See for yourself! Below is a list of our loyal sponsors. Together they make the difference. Check out all the high grade products and get what you need. Don't be stranded on the road, Protect your front end from anything nature can trow at it. ​The only bumper we will trust to protect our vehicles against unknown obstacles. The "BUCKSTOP insurance policy" is built like a tank to protect your investment. The rugged look and quality construction will support an internal winch and comes standard with front receiver hitch and easy to install bumper. We have driven over a hundred thousand miles from the Rocky Mountains to Alaska. This bumper literally led the way. Proudly built in the USA. Take your truck and turn it into a BEAST with a BUCKSTOP BUMPER. Check out buckstopinc.com. Ruff Tuff seat covers are the BEST and stand above the rest! They are custom built in the U.S. and fit to perfection. With a quality product and great customer service look no further for your next seat covers. In our extreme line of work, having a tough, well-built and easy maintenance-free seat cover is not to be taken for granted. Special accessories like the pistol pocket and Special Ops package provide added peace of mind and functionality. If you want the ultimate in style, comfort and feel on the market visit Ruff Tuff to customize your own. Made in America. This innovative tent design is built from high quality fiberglass and sturdy fabric. 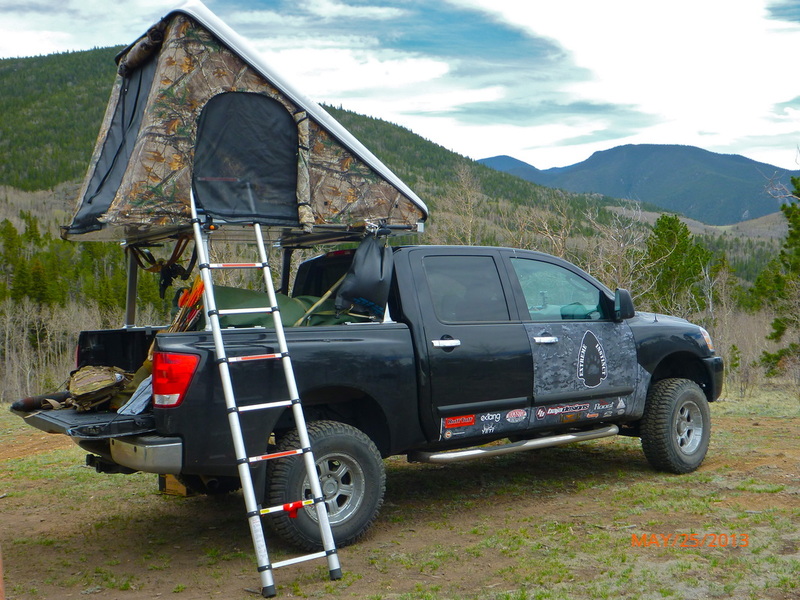 Attached to your rack this ROOST transforms any outing into a luxury room. With plenty of room for 2 people and 3 doors/windows with screens, this tent will change the way you camp. A high density foam pad and the telescopic ladder will get you feeling like you're sleeping in the clouds. 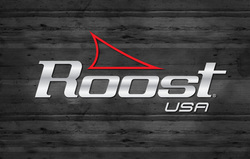 Get off the ground and get in your next ROOST. These will be the best off road lights you will ever use. Proudly made in America these lights will change the way you see the night. Do Not look anywhere else. At Baja Designs they make professional grade lights built to last. The LED Technology is unsurpassed making most any other light obsolete. Military experience has proved time after time the importance of owning the night. To show how prevalent these light really are, the picture below is the front of my truck in broad daylight at 50yds and as you see it is still blinding bright. To further compare Baja Designs lights to competitors the bumper has been set up with Baja's 22'' ONX light bar and 2- Squadron Cornering lights and compares it to 4 HID lights built by a popular high end off road light company.The blinding light of the 22'' light bar blows away the competition and even the high beams of the Nissan Titan. I will give you my word - if you are interested in off road light you will not get better then the LEDs from Baja Designs they will draw half the power and put out 4 times the performance of any light on the market. If you drive at night you need to be driving with Baja Designs. All the light you will need. Fast, strong, and easy to use. I took this out and installed it on the truck by myself in just minutes. Its strength and light weight makes it the perfect cover. Awesome weather seal seems to be impenetrable to weather. With a locking tailgate you get a complete security system. I am always putting in oversize loads (atv, motorcycles) and the ExTang Solid Fold comes off in seconds and is light enough a kid could do it. SNOWTREKKER tents are the best canvas tent I have ever used. Proudly made in the USA this tent features innovations that leave other canvas outfitter tents in the dark ages. We were able to set it up for the first time in less time then you can set up a large dome tent. With the addition of one of there stoves you can spend the night in comfort no matter the weather. ​Bushwacker Fender Flares. Built to last and we have tested every bit of that, they stopped the mud on over 3000 miles of off road use in Alaska. Awesome customer service, ordered to fit your truck and built in the U.S.A.
Mechman Truck Tuff Alternators are the best alternators on the market. If you have high power needs look no further. Proudly made in the USA and built to last. The Alternator we use is a G series 270 amp unit, and it will keep up with just about anything you can fit on a truck including Winches, light systems, and gadgets. You only have two eyes , Protect them ! Eye protection for those who push life to the limit. Smith Optics Elite combines the highest in eye safety standards and the Smith style we are famous for. ​Wildly Stronger! Keeps Ice Longer! 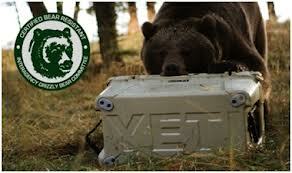 Yeti coolers you will have ice last for days or hot food stay hot. It will be the best cooler you have ever had. You will be amazed how you ever lived without one. They do a full line of Digital Color Printing. Whether you need business cards, flyers or large pictures printed they will help you out. Fastest and best customer service we have ever experienced you are sure to get that next job completed by deadline. With the most competitive prices on the market Pyramid Print and Graphics will be your last stop for your printing needs. Check them out and talk to the owner, Tom Marquez.